Our 4 Way Target is a colourful markings design, aimed to improve children's aim, eye to hand coordination and strength. 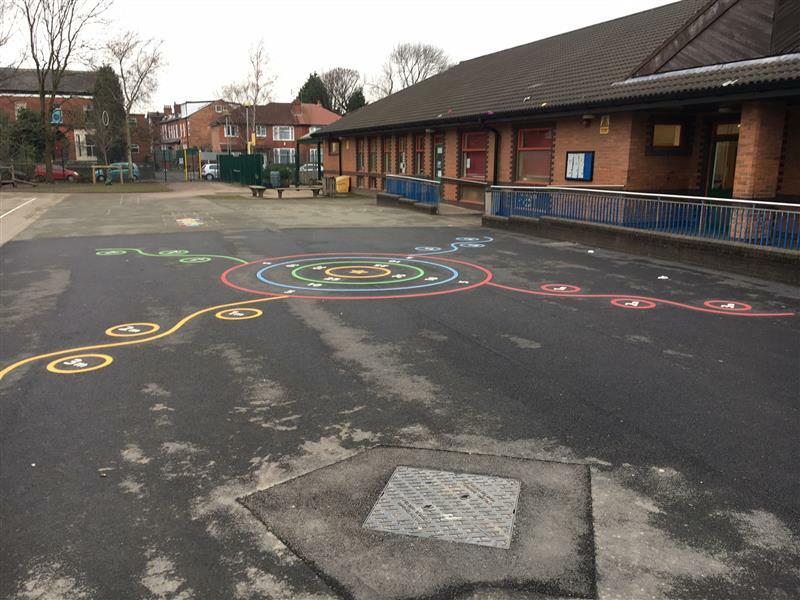 With 4 different routes to the target, this is an excellent group game which children can enjoy together. As each child moves further away from the target (up to 3 metres), they will feel a sense of achievement when they begin to hit the star. 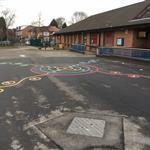 This game is also great fun and will create games and competitions on the playground. 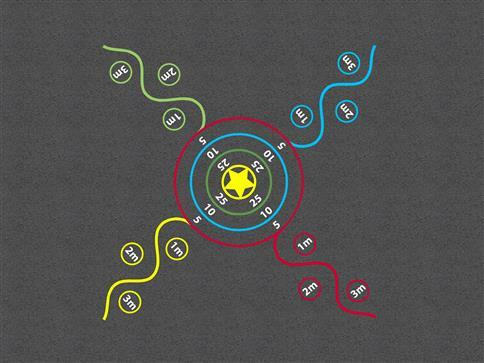 The target can also be used to help children understand mathematical concepts.